Quick Thoughts: THE WALKING DEAD, "What Lies Ahead"
I'm much of a zombie fan. Out of all of the horror monsters, zombies rank slightly above mummies, but last Halloween I was sucked into the world of The Walking Dead like millions of others, so of course I had to check out the Season 2 premiere. Last years freshman season was an undead appetizer due to its short six-episode order, so it was hard to be totally immersed in the post-Apocalyptic world, but it was a good starting off point. For the most part, "What Lies Ahead" didn't waste anytime to remind the viewers of what it has to offer. 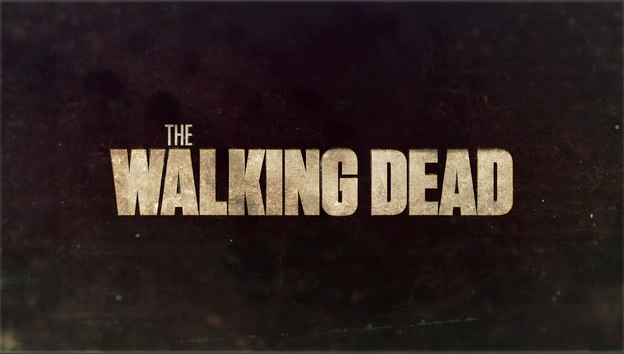 As of right now, The Walking Dead's strength is its atmosphere. By far, the best part of the premiere episode was the extended scene in the traffic jam where everyone had to avoid getting caught by a herd of zombies. It had the right amount of tension and pacing which led to a dynamite couple of minutes. I'll give this show credit, it definitely knows how to rack the nerves and pump out the gore. On the flipside, the character development continues to be its shortcoming. While watching the episode, I found myself not really caring about anyone. I've mentioned in the past that the characters are very similar to those from Lost, but I was actually invested in the Oceanic survivors, and I cannot say that about Rick and the gang. In order for this show to be successful, it needs to focus on the people and not just on the zombies because we should care more about the living than the undead, and we very well may when it's all said and done, but I'd like it if we got there a little quicker. While some of the characters are one-dimensional and/or unwatchable (I can't wait for the short-haired lady to get eaten), there were some strong human moments during "What Lies Ahead". The debate between Andrea and Dale about life and death was a tad heavy handed, but it was hard not to get wrapped up in the back-and-forth since both had good points. I even enjoyed watching Rick and Daryl running through the forest and gutting "walkers", and I fell for the big twist at the end of the episode. I have to admit that I was hooked when it was all said and done. Season 1 of The Walking Dead showed us the potential that this show has, and now it's time for it to follow through on it. "What Lies Ahead" was not a perfect episode of television, but it had enough strong moments to keep me entertained at a base level. Now, I'd like to see it dig a little deeper and flesh out these people so I'll care about if they live or die. If it can do that, then I'll be hooked.